This article and analysis is a result of my dismay at the apparent lack of attention to the economic problems that Zambia is facing by President Edgar Lungu as the Chief Executive of our country. I was amazed by the President’s recent statement that he was far ahead of his opponents as far as winning the 2016 election. This was further supported by the PF secretary General, Davies Chama’s statement that the ruling Party will win next year’s election even if the economy does not improve. As a follower of international politics, elections and its relationship with the economy, I wondered where the President’s confidence was coming from when the economy is in such dire straits! I then recalled the phrase “It’s the economy, stupid,” coined by James Carville, President Bill Clinton’s campaign Manager in 1992 during the USA Presidential election when running against the popular incumbent George Bush senior. “It’s the economy, stupid” phrase was asking whether the economy doesn’t matter in seeking re-election as it was not being discussed as a main campaign issue but rather the Gulf War of 1991 that the USA won and made Bush senior popular. I am asking the same question in our Zambian context. I am sure there are many Zambians who are wondering why the President does not talk about the economy and what he intends to do in the short and long terms to reverse the trend. It gives one the impression – rightly or wrongly – that he is uncomfortable talking about the economy because he and his colleagues do not understand the economy and how it works and thus the mess! I have decided that may be the PF administration needs some help in form of highlighting the main economic problems ( effects) that we are facing under their watch in a summary fashion. And as per my usual modus operandi, I will suggest some immediate solutions to the President and his administration to consider. My solutions are not exhaustive by any means. I have provided some solutions in my previous postings on employment and in the Presidential address on the economy article a month and half ago. • The total government debt domestic and foreign has increased by $6.55billion to about $10.05billion from $3.5 billion this will be an increase of 187%. • Trade deficit has gone up as we are importing more than we are exporting and in May it was $300million. • The business confidence in the country has gown down as the economic management of the country is viewed as flawed and incompetent. The rating Agencies like Moody’s, Fitch, Standard and Poor have all down graded Zambia current rating is B which means it is not a good investment destination as it is five levels below investment grade. There is no politician worth his salt who will be proud of the above record! The percent negative changes outlined above, are all abnormal and are an indicator of an economy that is being recklessly managed. The net effect of the above negative technical indicators on the man on the street is that, the cost of living will continue escalating, there will be more unemployment as fewer jobs will be created, the poverty rates will increase, social ills like crime, prostitution, political violence are likely to go up as well as the possibility of civil strife. In a normal democracy and with a vibrant opposition, there is no way an incumbent can confidently think and pronounce that they are ahead and will win the next election with the above economic numbers. The reality is that the Zambian opposition is ineffective, fragmented and led by people with big egos who cannot work together for the sake of the country and are all only interested in promoting themselves and not serving their country. And above all, they lack strategy. I even doubt if they even understand the word strategy and how it can be applied to politics. There is no question that the economy should be the main compaign tissue and all else should pale beside. My impression is that the Zambian opposition do not have proper strategists who can ensure that a coherent economic message in a simple language that can be understood by the poor in both rural and urban areas is adopted and all the stump speeches reflect such a message so that it gets implanted in the electorate’s minds. There are no strategists to define the incumbent in a negative way that reflect the incumbent’s electoral promises, his record and project the same in the eyes of the electorate so that it gets implanted in the electorate’s minds and thereby win their hearts and minds. The opposition needs to put their houses in order and they better start now. For now, my call is to try and help by criticizing those running the country and provide them with solutions so that Zambia can be a better place for all. I hope they have been listening and they will be listening. As at the moment, there is a general feeling among Zambians that the PF administration does not know how to solve our economic problems and they are more focused on winning the 2016 elections. The measurement of victories of bye elections as a measure of the Party’s popularity can be deceptive especially with the pathetic voter turnouts! The President hardly talks about the economy! An impression has been created that President Lungu does not understand how the economy works and he avoids talking about it. He appears to be an absentee landlord like his predecessor – to quote, Mr. Alexander Chikwanda – and a person who is not in charge of the economy. In order to provide hope and confidence in the nation, the President needs to address the Nation on radio and Television and communicate the action plans that his administration is implementing immediately to reverse the declining economy. 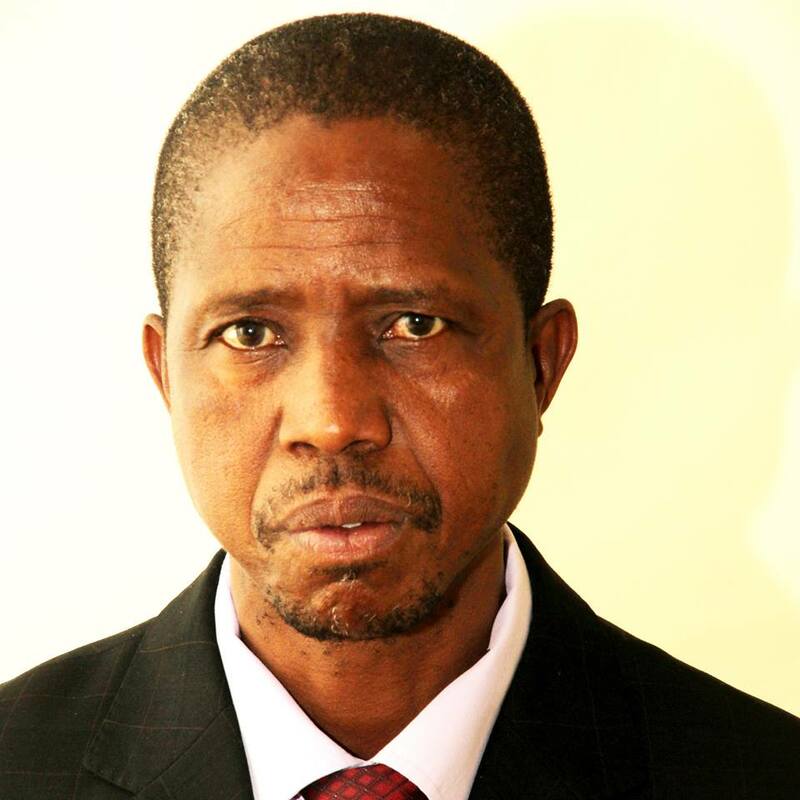 President Lungu has not formally talked to the nation directly for the six months he has been in power! This is poor public relations(PR) and one wonders what sort of advisers he has with regard to PR! Perceptions are difficult to overcome without a robust PR strategy. They way 21st Century economy work is that the major players in an economy have to communicate to the market to elicit positive response. The PF government is perceived as being reckless and it is incapable of reducing Government expenditure and it financial management and fiscal discipline is poor. It is important that the President sends a message that the Government is serious about reducing the budget deficit and it is taking measures to that effect. The government should release a comprehensive statement of the austerity measures in reducing government expenditure. The current impression is that the PF government is wasteful. The proposed increase of salaries of Members of parliament, the numerous foreign trips that the President has undertaken , the proposed building of new offices at the Government enclave, the proposed building of the Mausoleum for late President Sata as well as the undertaking by the President to restart national airline enhances this perception and just goes to show the lack of priorities. This Government is perceived as being insensitive in its expenditure pronouncements given the economic difficulties we are going through. The reduction in expenditure should start at State house like General Buhari has done in Nigeria. There is no doubt that President Lungu took over a bad team across board including those at State House. His predecessor even called his team useless. He cannot change every body in government abruptly but given the economic mess we are in, I believe he needs house to constitute a Presidential Economic Council (Think Tank) at State House and appoint temporary Czars in five key areas of the economy. (The term Czar is used in the USA and UK to refer to experts who can devote their expertise to a single or particular area of work and run, reorganize dysfunctional and problematic government departments or sector).One of the major problem that the government faces is implementation of agreed policy measures and the Czars will help in this area among other things and ensure the respective departments perform and deliver or their heads get fired for non performance! The Czars should be appointed on one year contract and they will help steady the boat which is going through economic turbulence. The people who should be appointed should be fearless, qualified, and ideally must have been exposed or worked abroad as they will come with a different mindset and work culture and not tainted by corruption and “yes men” culture and mentality of our country. They should be of independent mindset so that they give the President proper advice which is in the interests of the country without fear of offending the President. These will be a link with the line Ministries. In the light of the problems we have, I suggest the following Czars at State House – Energy Czar, Unemployment Czar, Mining Czar, Export and import substitution Czar, Infrastructure Czar ( He already has Lucky Mulusa, whose appointment I applauded as the guy is qualified and was highly exposed in when he worked in South Africa ), Economy Czar ( He has already Mr. Hibeene Mwiinga I guess ).These guys will be expensive but it will be a worthwhile investment and it may just save his Presidency by helping change the economic trajectory in the short term! One of the major problems that the country has faced since PF came into power is the lack of consultation with economic stakeholders when major policy changes are planned resulting in embarrassing policy reversals and loss of confidence in the economic managers by the business community. The business community has also had a perception of the PF being anti- business. In order to gain confidence with local and foreign investors and rating agencies, I propose that an informal consultative vehicle between government and private sector be formed which should meet quarterly or bi monthly to exchange views on important economic policy issues. ZACCI can be the umbrella for the private sector with representation from all sectors of economy’s associations such as Mining, Manufacturers, Retailers, and Farmers etc. This will be a confidence building measure and a vehicle for dialogue with business community. The writer was involved in Botswana in such a vehicle in the 1990s supported by USAID and it has worked well for Botswana where the private sector and Government work as partners and not enemies. For a start, an economic indaba or Conference between Government and Private sector should be seriously considered immediately. In conclusion, it is apparent that the PF government and the President think the economy is stupid ; in other words, it is not important in order for them to win 2016. Improving the economy is not their priority. I believe this mentality is partly because they are individually comfortable with government salaries, allowances and per diems and they are not feeling the pain and suffering that ordinary Zambians are experiencing as a result of unemployment, high cost of living, load shedding, kwacha depreciation, high interest rates, farmers in rural areas stuck with maize as Government is not buying their produce and high fuel, transport, rentals costs and son and so forth. It appears that the PF is obsessed with politics and their phrase : “politics is about numbers” . They are more concerned with having more people joining them from other political parties. They feel this is the best insurance policy to winning them next year’s election and improving the economy is secondary. They have concentrated so much on politics that they think, come election time, they will merely point to the infrastructure projects – which they have done at great cost to the Country in terms of huge public debt – and they will win the 2016 election. I would advice them that the economy is not stupid. In 1992, the USA economy was in a bad shape but President George Bush Senior was enjoying 90% approval rates following a well executed and supported first Gulf war – Operation Desert Storm- in 1991. The Republican Party and the President were confident that they would win the 1992 election but they were shocked to lose. Bill Clinton’s compaign was all based on the economy- budget deficit, big government, public debt, fair distribution of national cake etc. This is a lesson that any politician can ignore at his own peril. Recently in Nigeria, incumbent Goodluck Jonathan lost mainly due to poor economy less so due to security and corruption. President Lungu appears to be over confident about winning the 2016 election just as Senior George Bush was but if the Opposition maps up a strategy based on the economy and they get the message across t o the electorate, they may just shock the PF.